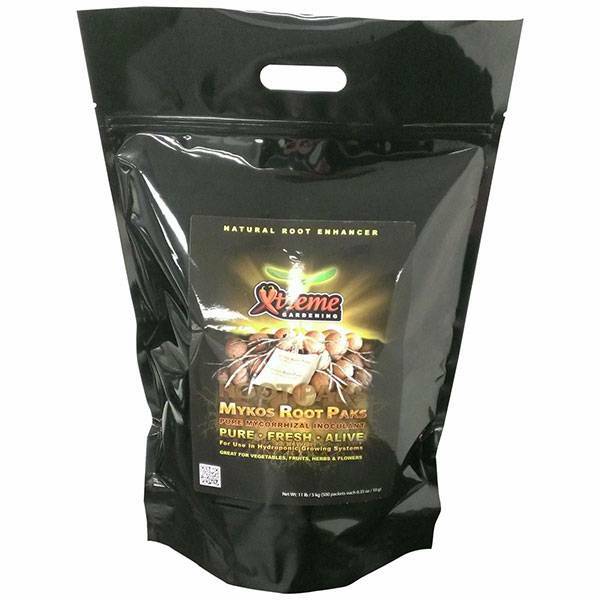 Mikos Root Pack by Xtreme Gardening is natural and organic species of beneficial soil fungi (Mycorrhizae) that is able to create a "sponge-like" mass which collects and stores nutrients and water, increasing the uptake of both. This single species of arbuscular mycorrhizal fungi contains only Rhizophagus intraradices, formally known as Glomus intraradices. Mykos does not contain any other microbes such as trichoderma or ecto-mycorrhizae.